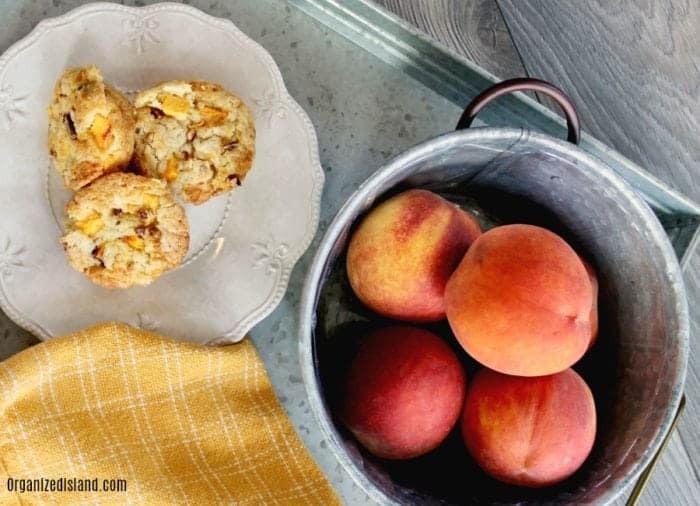 This easy fresh Peach Pecan muffin recipe is easily made with fresh peaches. We love to enjoy them as a breakfast but they also make a wonderful brunch side dish! Hello Friends! 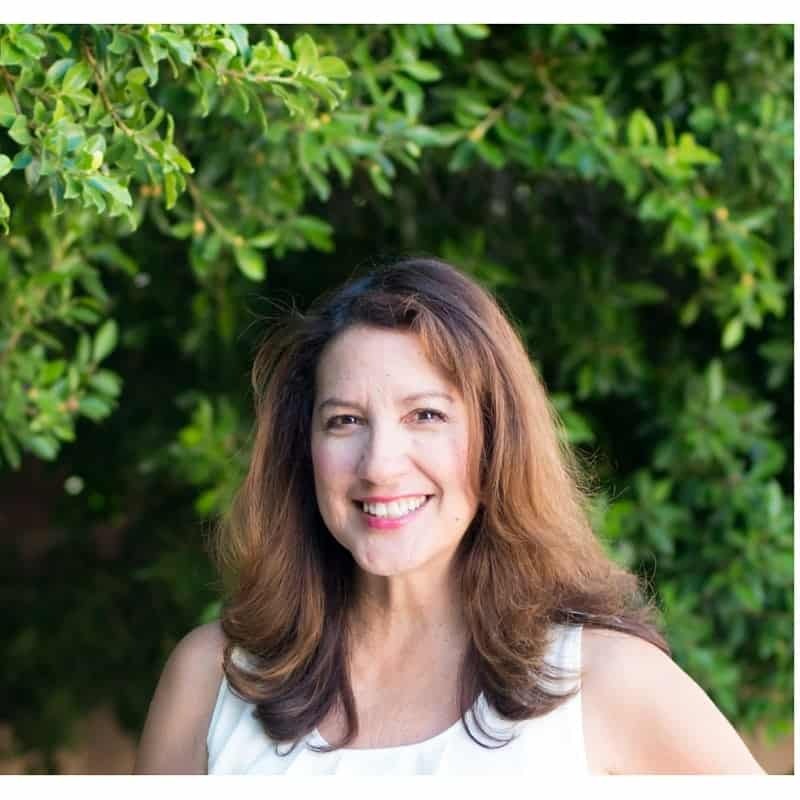 I hope you are having a wonderful day! This time of year, I love to savor the season not only in activities but in recipes as well. 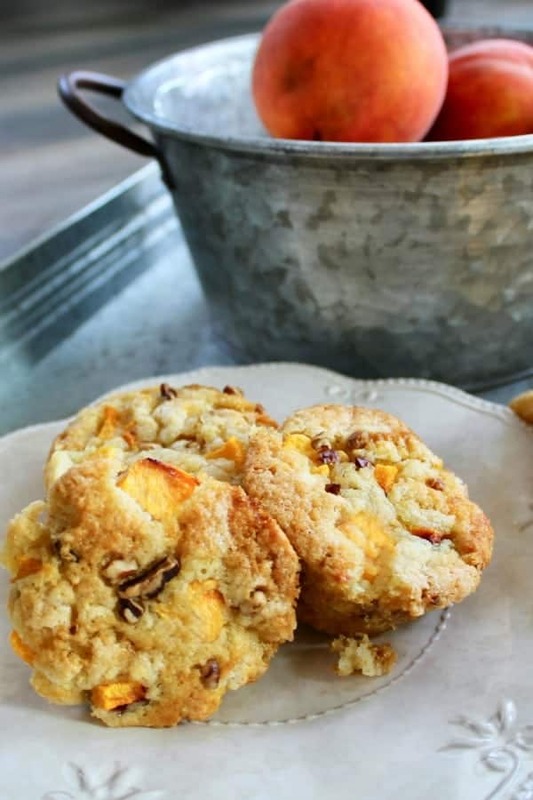 These fruit muffins are just a perfect way to enjoy the season any time of year. 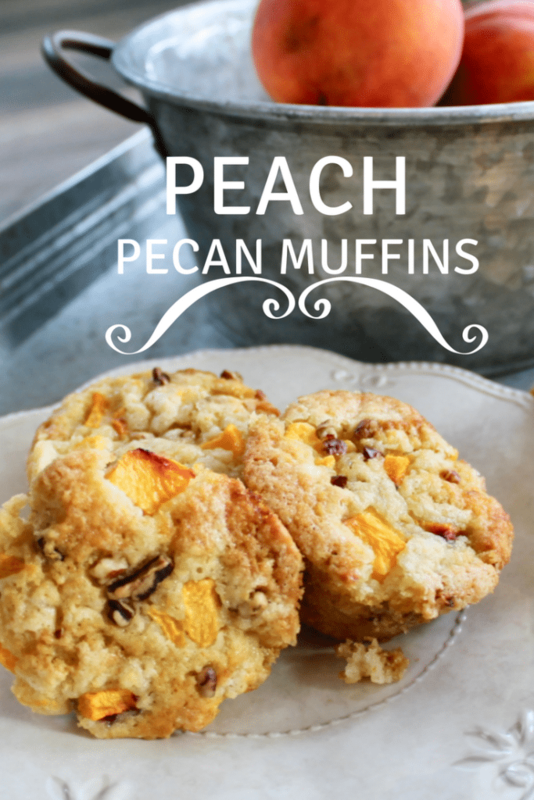 Perfect for breakfast or a lunch box snack, I also love these for a picnic or brunch. Bake shop Lemon Muffins– These muffins are rich and cake-like, making them perfect for a breakfast or brunch. 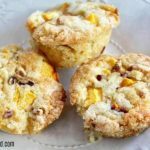 Banana Crunch Muffins – A lovely cake-like muffin that is a great way to use up leftover bananas. Simple Pineapple Muffins – Made with only five ingredients so this is really simple to whip up as a breakfast side in the morning. Be sure to check them out as you just may discover your new favorite muffin recipe. Many of these fruits are at the peak of their season right now. You can also use frozen fruit as a substitute. You can change up the nuts to your liking in this recipe. Walnuts and macadamia nuts both work well for this recipe. 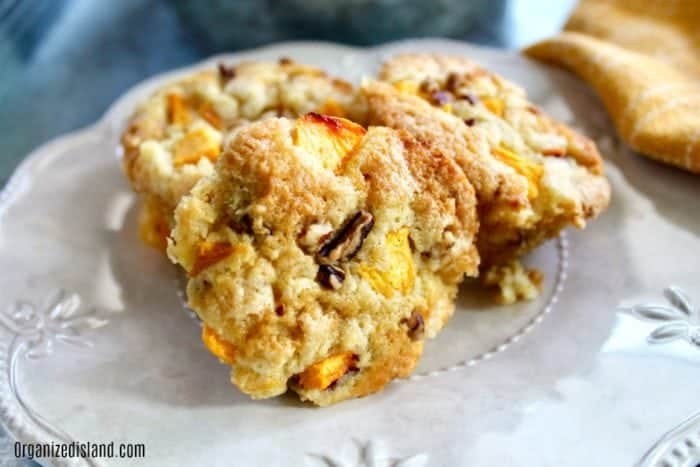 You can use canned peaches for this recipe. Just make sure to drain the peaches thoroughly. Pre-make your own muffin mix. Mix the dry ingredients together and store in an airtight container. Then just add fruit and dry ingredients when you are ready. It really saves time and you can make several mixes ahead of time. Cut your fruit the morning of, or the night before so it is ready to use when you are. Chop peaches into small chunks. Add eggs and oil to dry ingredients. Pour into muffin tins about half full. We hope you enjoyed this quick and easy recipe. If you enjoyed this recipe, please consider sharing. We would love it if you did! If you make it and share it on Instagram, please tag us and let us know! What a match made in heaven. Like pb and chocolate! We still have peaches to pick here and pecans are magic. 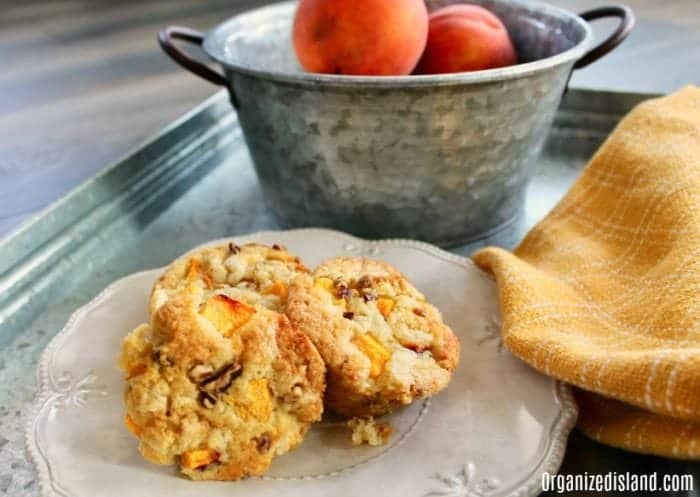 i have some peaches in the kitchen & I would love to make these. 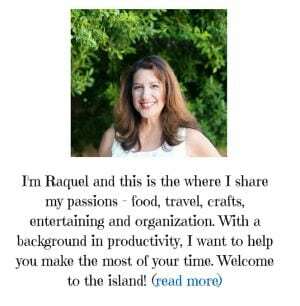 Thanks for sharing at Merry Monday, hope to see your next week! 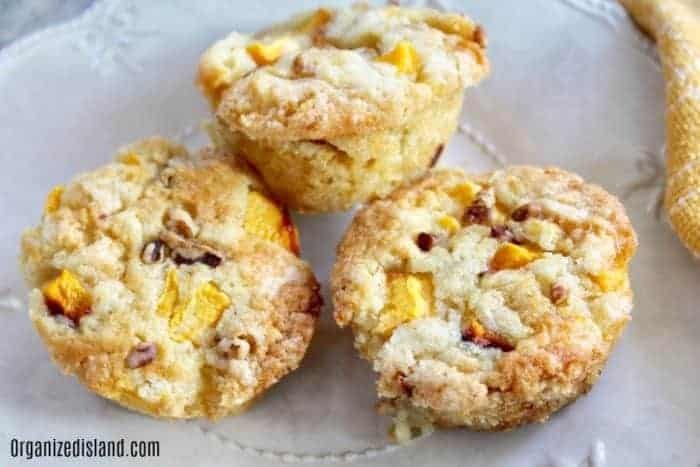 I love to make muffins as a breakfast treat, and this sounds like a yummy pairing! Thanks for sharing at our Merry Monday party. I’ll be including your muffins in my Features this coming week!